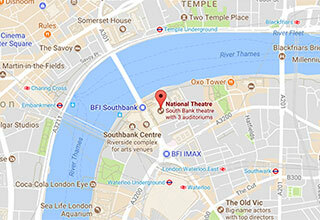 By remembering us in your Will you will be helping future audiences to enjoy the National as you do today. Please consider supporting us in this very special way and become a 'National Treasure' to enjoy special events alongside a dedicated group of people who have chosen to protect our future. Gifts in Wills provide an important source of support towards safeguarding the work of the National Theatre for future generations and support every aspect of the National Theatre’s work; both on stage and off. Your most personal and lasting gift can be of any size. Leaving just 1% of your estate can make a difference. To find out more, download our brochure, visit our How Legacies Help page or get in touch. All conversations will be treated discretely and in confidence. Unless a different wish is expressed, all legacy gifts to the National Theatre are directed into a dedicated Legacy Fund held by the National Theatre Foundation which exists to provide support to all areas of the NT’s wide-ranging work. 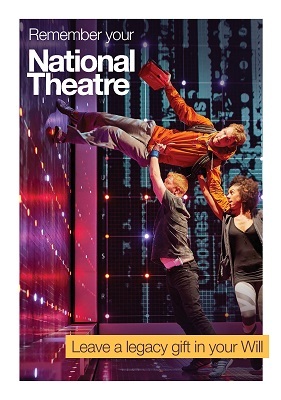 The National Theatre Foundation is administered by the Foundation's Trustees and is Chaired by Sir Richard Eyre. Full details are included in our legacy brochure. The National Theatre is a proud supporter of Remember a Charity. 10 - 16 September is Remember a Charity week. We will be dedicating performances to thank all of those who have chosen to leave a gift in this very special way.